Radial aggregates of salmon pink acicular crystals. They are on a Quartz matrix, with small dodecahedral Grossular crystals. 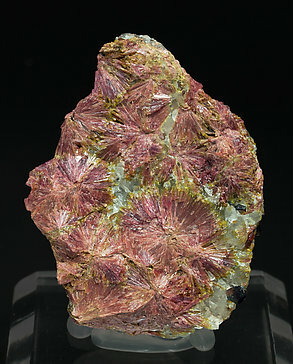 The color of this Clinozoisite is very unusual and very typical of this Mexican locality.